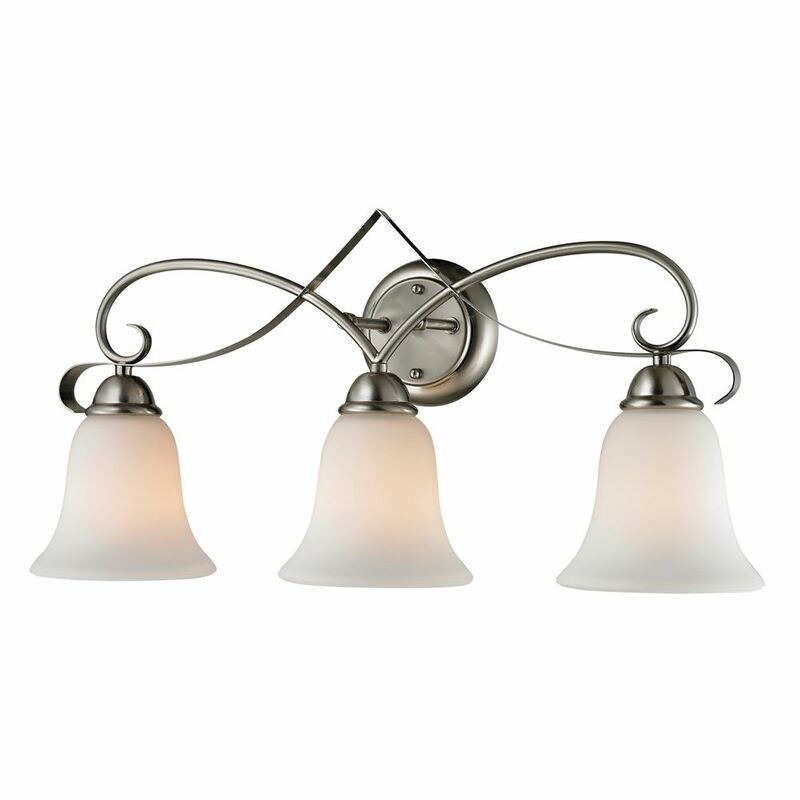 3 Light Bath Bar In Brushed Nickel This gorgeous vanity light features a smooth flowing design with metalwork finished in brushed nickel and beautiful white glass shades. 3 Light Bath Bar In Brushed Nickel is rated 4.5 out of 5 by 4. Rated 5 out of 5 by HomeDepotShopper from The Titan Lighting Brighton 3-Light Brushed Nickel Wall Mount Bath Bar Light is elegant, sturdy a... The Titan Lighting Brighton 3-Light Brushed Nickel Wall Mount Bath Bar Light is elegant, sturdy and beautiful. This fixture puts out softer and less light than the Hollywood Bar it replaced. Rated 5 out of 5 by Colleen from Love this as part of BR renovation. Fairly easy to... Love this as part of BR renovation. Fairly easy to install. Rated 4 out of 5 by Elvira from Product was as shown on advertisement, but looked a little cheap on the brushed nickel part of it... Product was as shown on advertisement, but looked a little cheap on the brushed nickel part of it. A little more expensive than I felt it should be, but still a nice fixture overall.